When you file your federal income tax return, you can check the status of your refund by visiting the IRS website or its mobile app. However, each state has its own process for handling state income taxes. If you expect a refund, your state may take only a few days to process it or the state may take a few months. There is no hard-and-fast rule but you can expect paper returns taking significantly longer to process than e-filed returns. Luckily, each state with an income tax also has an online system that lets you check the status of your state tax refund. What Do I Need to Check on My State Tax Refund? Each state uses a slightly different system to let taxpayers check their refund status. In general though, there are two pieces of information that you will need in order to check on your refund. The first important information is your Social Security number (SSN). If you do not have a SSN, most states allow you to use a few different types of ID. One common type is an Individual Taxpayer Identification Number (ITIN). If you file a joint return, use whichever ID number appears first on the return. Almost all states will also require you to provide the amount of your refund. Most states ask you to round your return to the nearest whole number but some states, like Vermont, will ask for the exact amount of your refund. These two things will be enough for you to check in some states. Other states may also require your date of birth, the year of the return, your filing status or your zip code. Below is a run down of how you can check your refund status in each state that collects an income tax. Note that Alaska, Florida, Nevada, South Dakota, Texas, Washington and Wyoming have no state income tax. New Hampshire and Tennessee do not tax regular wages and income, but do tax some income from dividends and investments. You can expect your Alabama refund in eight to 12 weeks from when it is received. In order to check the status of your tax return, visit My Alabama Taxes and select Check on My Refund Status. You can also visit the site of Alabama’s Department of Revenue and click on Where’s My Refund? To maintain security, the site requires you to enter your SSN, the tax year and your expected refund amount. Another thing to note with Alabama is that even if you filed for direct deposit of your refund, the state may send your refund as a physical check. This is an attempt to prevent fraud by sending a paper check to the correct person instead of sending an electronic payment to the wrong person’s account. To check your Arizona state refund, visit the state’s Check Refund Status page. You can also access this by going to AZTaxes.gov and selecting “Where’s My Refund?” Required information for checking your status is your SSN, your filing status, your zip code and the year of the return. Check your Arkansas tax return by logging in the Arkansas Taxpayer Access Point page and then clicking on “Where’s My Refund?” at the bottom of the page. You can check on your refund using only your SSN and the amount of your refund. Track your state tax refund by visiting the Where’s My Refund? page of the California Franchise Tax Board. You will need to enter the exact amount of your refund in order to check its status. According to the state, refunds generally take up two weeks to process if you e-file. If you file a paper return, your refund could take up to four weeks. Businesses can expect processing times of up to five months. Contact the Franchise Tax Board if you have not heard anything within one month of filing an electronic return (two months if you paper file). Businesses should reach out if they haven’t heard anything within six months of filing. Amended returns for both individuals and businesses can take up to four months for processing. Taxpayers can check the status of their tax refund by visiting the Colorado Department of Revenue’s Revenue Online page. You do not need to log in. Click on “Where is my Refund / Rebate?” from the Quick Links section. Then you will need to enter your SSN and the amount of your refund. Colorado has increased its fraud prevention measures in recent years and and warns that it may need take up to 60 days to process returns. Returns will take longest as the April filing deadline approaches. This is when the state receives the largest volume of returns. The state also recommends filing electronically to improve processing time. You can check the status of your Connecticut tax refund by going to the Taxpayer Service Center. Then select “Check on the Status of Your Refund” on the left side of the page. If you filed electronically, you can expect your return to get processed in as little as a few days. Refunds from Delaware tax returns generally take four to 12 weeks to process. For more specific status updates, visit the state’s Refund Inquiry (Individual Income Tax Return) page. You will need to enter your SSN and your refund amount. Check the status of your refund by visiting MyTax DC. From there, click on “Where’s My Refund?” on the right side of the page. Note that it may take some time for your status to appear. If you e-filed, you can expect to see a status within 14 business days of the DC Office of Tax and Revenue receiving your return. The status of a paper return is unlikely to appear in less than four weeks. Like Alabama and some other states, D.C. will convert some direct deposit requests into paper check refunds. This is a security measure to ensure refunds are not deposited into the incorrect accounts. Track your Georgia tax refund by visiting the Georgia Tax Center and clicking on “Where’s my Refund?” in the middle of the page under “Individuals.” You will be able to check returns for the current tax year and as far back as four years ago. It is possible for a refund to take as long as 90 days to process. If you have not received a refund or notification within that time, contact the state’s revenue department. Hawaii taxpayers can visit the Check Your Individual Tax Refund Status page to see the status of their return. You will need to provide your SSN and the exact amount of your refund. Refunds can take nine to 10 weeks to process from the date that your tax return is received. If you elect to receive your refund as a paper check, you can expect it to take an additional two weeks. If you e-filed and have not heard anything about your refund within 10 weeks, call the state’s Department of Taxation. Learn more about your tax return by visiting the Idaho State Tax Commission’s Refund Info page. From there you can click on “Check your refund status online” to enter your information and see the status of your refund. Taxpayers who e-file can expect their refunds in about seven to eight weeks after they receive confirmation for file their states return. Those who file a paper return can expect refunds to take 10 to 11 weeks. If you receive a notice saying that more information is necessary to process your return, you will need to send the information before you can get a refund. Once the state receives that additional information, you can expect it to take six weeks to finish processing your refund. The State of Illinois Comptroller has a web page called Find Your IL Tax Refund, where you can see if the state has already processed your tax return. The only information you need to enter is your SSN, first name and last name. If the state has not processed your return yet, you can set up an email or text notification to let you know when it does. If you visit the Indiana Department of Revenue’s website, you can find its Refund Status Service. Simply enter your SSN and refund amount to check the status of your refund. You can check the status of your Iowa state tax return through the state’s Department of Revenue website. There you will find a page called Where Is My Refund. You will be able to check on your refund and the page also answers common questions about state refunds. This page updates in real time. Once the state has processed your return, you will see the date on which it issued your refund. One good thing to note is that calling will not get you more information about your refund. When you check your refund status on this page, you will have access to all the same information as phone representatives. So the state asks people not to call unless you receive a message asking you to call. If you’re waiting for a tax refund from Kansas, simply visit the Income and Homestead Refund Status page. There you can check the status of income and homestead tax refunds. You can also check your refund status using an automated phone service. This service is available at 1-800-894-0318. Taxpayers who filed electronically can expect their refund to arrive (via direct deposit) in 10 to 14 business days. This is from the date when the state accepted your return. 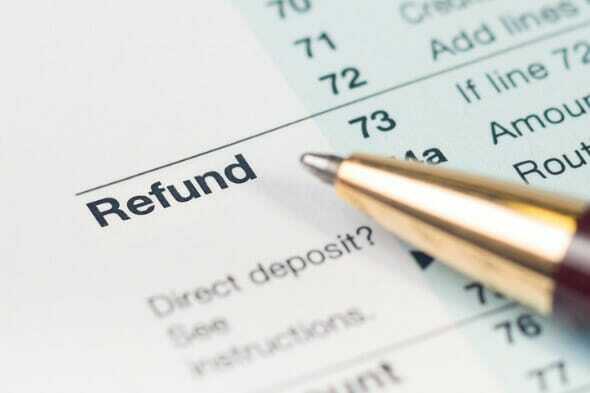 If you filed a paper return, you will receive your refund as a paper check. The state advises people that a paper refund could take 16 to 20 weeks to arrive. Check the status of your Kentucky tax refund by visiting the revenue department’s Where’s My Refund? page. If you e-filed and opted for direct deposit, you can expect your refund in two to three weeks. Getting a refund as a paper check will take three to four weeks. If you filed a paper return, you’re refund will take significantly longer to arrive. The state says it could take eight to 12 weeks. The Where’s My Refund Page only allows you to check the current year’s tax return. The status of previous tax returns are available if you call 502-564-4581 and speak to an examiner. It may take more than 20 weeks to process prior year tax returns. The status of your Louisiana tax refund is available by visiting the Louisiana Taxpayer Access Point page and clicking on “Where’s My Refund?” at the bottom. You will need to enter your SSN and your filing status. Refund processing time for e-filed returns is up to 60 days. Those who filed paper returns can expect to wait 12 to 14 weeks. As with many other states, these time frames are longer than in years past. Louisiana is implementing measure to prevent fraudulent returns and this has increased processing times. Maine allows taxpayers to check their refund status on the Refund Status Information page. You will need to enter your SSN, filing status and the exact amount of your refund. Visit the Comptroller’s website to check the status of your Maryland tax refund. All you need to do is enter your SSN and your refund amount. Joint filers can check their status by using the first SSN on their return. According to the state, it usually processes e-filed returns the same day that it receives them. That means you can expect your refund to arrive not too long after you file your taxes. On the other hand, paper returns typically take 30 days to process. For security reasons, it is not possible to verify any of your tax return information over the phone. The Massachusetts Department of Revenue allows you to check the status of your refund on the MassTax Connect page. Simply click on the “Where’s my refund?” link. When the state approves your refund, you will be able to see the date when it direct deposited or mailed your refund. The turn around time for refunds, according to the state, is four to six weeks if you filed electronically and elect for direct deposit. You can expect a turnaround time of eight to 10 weeks if you filed a paper return and chose direct deposit. If you opted to get your refund as a paper check, you can expect to wait about one week longer than the times mentioned above. 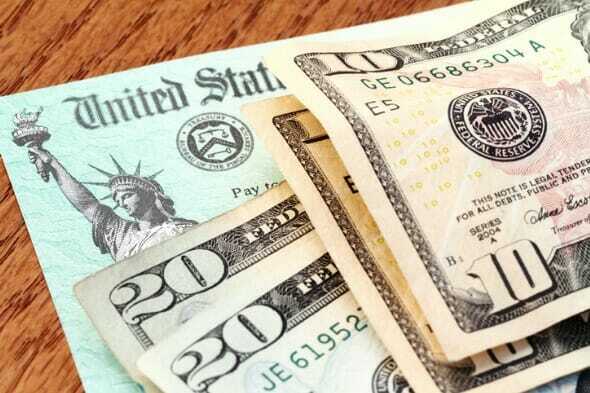 Checking your refund status is possible through the Michigan Department of Treasury. Just visit the Where’s My Refund? page. Michigan requires you to enter slightly different information than most other states. You will need to enter your SSN, the tax year, your filing status and your adjusted gross income. Michigan says to allow four weeks after your return is accepted to check for information. This assumes you filed electronically. If you filed a paper return, allow six to eight weeks before checking. Through the Where’s My Refund? System, you can check the status of your Minnesota tax refund. You will need to enter your SSN, your date of birth, your return type (income tax or property tax), the tax year and the refund amount shown on your return. It’s important to be aware that if your tax return does not have your date of birth on it, you cannot check its status. The refund system is updated overnight, Monday through Friday. If you call, the representatives will have the same information that is available to you in this system. To see the status of your Mississippi state refund, visit the state’s Taxpayer Access point. From there you will need to click on “Check the status of my refund” toward the bottom left of the page. You will need to enter your refund amount and either your SSN or your Fed Employer ID. You can check on your Missouri tax refund through the Return Inquiry System. There you will need to enter your SSN, filing status and the amount of your refund. Visit the Department of Revenue’s TransAction Portal and click the “Where’s My Refund” link toward the bottom of the page. From there you will need to enter your SSN and the amount of your refund. The processing time for your tax return and refund will depend on when you file. The Montana Department of Revenue says that if you file your return in January, it may process your refund within a week. However, you may wait up to eight weeks if you file in April, which is generally when states receive the majority of returns. It’s possible to check you tax refund status by visiting the revenue department’s Refund Information page. On that page you can learn more about the state’s tax refunds and you can check the status of your refund. Make sure to have your SSN, filing status and the exact amount of your refund handy to check your refund. New Jersey’s Division of Taxation allows taxpayers to check the status of refunds through its Online Refund Status Service. You will need to enter your SSN and the amount of your refund. You can also check the status of a refund using the automated phone inquiry system. The automated system can tell you if and when the state will issue your refund. It cannot give you information on amended returns. The number is 1-800-323-4400 (toll-free within New Jersey, New York, Pennsylvania, Delaware and Maryland) or 609-826-4400. Both options are available 24 hours a day, seven days a week. In general, electronic tax returns take at least four weeks to process. Paper returns take significantly longer at a minimum of 12 weeks. If you send a paper return via certified mail, it could take 15 weeks or more to process. The Tax & Revenue department of New Mexico provides information on their website about tax returns and refunds. To the check the status of your return, go to the Taxpayer Access Point page and click on “Where’s My Refund?” on the right of the page. Taxpayers who filed electronically can expect a a refund to take six to eight weeks to process. The state asks that you wait at least eight weeks before calling with inquiries about your return. Paper returns will likely take eight to 12 weeks to process. The state advises waiting 12 weeks before calling with refund status questions. If you do need to call, the phone number is 866-285-2996. You can use this link to check the status of your New York tax refund. You will need to enter the exact amount of your refund in whole dollars in order to log in. Don’t forget that if you paid any local income taxes for living in New York City or Yonkers, those taxes are included in your state return. Tracking your refund is possible by visiting the website of North Carolina’s Department of Revenue and clicking on “Where’s My Refund?” You can expect processing of your refund to take, on average, six weeks from the date your return is received. If 12 weeks have gone by and you still haven’t gotten your refund, you should contact the Department of Revenue. The toll-free phone number is 1-877-252-3052. North Dakota’s Income Tax Refund Status page is the place to go to check on your tax refund. Click the link in the center of the page and then enter your SSN, filing status and exact tax refund. The refund status page also has information on how the state handles refunds. The state advises not to call unless you check your refund status and it says to call. The Department of Taxation for Ohio provides an online form to check your refund status. To see the status, you will need to enter your SSN, date of birth and the type of tax return. You also need to specify if it is an amended return. According to the Department of Taxation, taxpayers who request a direct deposit may get their refund within 15 days. However, paper returns will take significantly longer. You can expect processing time for a paper return to take eight to 10 weeks. If you are expecting a refund and it doesn’t arrive within these time frames, you should use the check status form to make sure there aren’t any issues. In order to check the status of your state tax refund, visit Oklahoma Tax Commission page and click on the “Check on a Refund” link. From there you can get to the Oklahoma Taxpayer Access Point. You will need to log in with the last seven digits of your SSN or ITIN, the amount of your refund and your zip code. If you e-filed, you can generally start to see a status four days after the Oklahoma Tax Commission receives your return. Paper filings will take longer an you should wait about three weeks before you start checking the status of a refund. Once a refund has been processed, allow five business days for your bank to receive the refund. If you elect to get a debit card refund, allow five to seven business days for delivery. You can check on your state income tax refund by visiting the Oregon Department of Revenue and clicking on the “Where’s My Refund?” button. This will take you to an online form that requires your ID number and the amount of your refund. This online system only allows you to see current year refunds. You cannot search for previous years’ tax returns or amended returns. Checking on a tax refund is simple for Pennsylvania taxpayers. Just visit the Where’s My PA Personal Income Tax Refund? page and enter both your SSN and refund amount. You can expect a refund to take eight to 10 weeks for processing. Rhode Island’s Division of Taxation maintains a Tax Refund Status page. This page will prompt you for your SSN, filing status and the amount of your refund in whole dollars. It’s possible to check on your individual state income tax refund by vising this Refund Status page. Much like with other states, you will need to enter your SSN and the amount of your refund (in whole dollars) before you can see a status. Tennessee residents do not pay income tax on their income and wages. The tax only applies to interest and dividend income, and only if it exceeds $1,250 ($2,500 for joint filers). A refund is unlikely for this income tax. You can check the status of your refund by going to the state’s Taxpayer Access Point website. On that page you can find the “Where’s My Refund?” link on the right side. Due to identity protection measures, the Utah State Tax Commission advises that taxpayers should allow 120 days (from the date when your return was accepted) for a refund to get processed. The earliest you can hope for a refund is March 1. Visit Vermont’s Refund Status page and click on the Personal Income Tax Return Status link. You will find it toward the bottom left. That link will take you to form that requires your ID number, last name, zip code and the exact amount of your refund. The Vermont Department of Taxation may withhold some refunds until it receives W-2 withholding reports from employers. If you want to check the status of your Virginia tax refund, head to the Where’s My Refund? page. 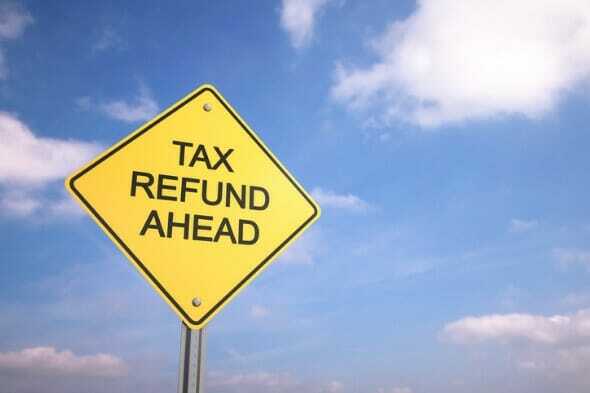 Click on the link to check your refund status and then enter your SSN, the tax year and your refund in whole dollars. You will also need to identify how your filed (e-file or paper file). It is also possible to check your status using an automated phone service. The number is 804-367-2486. Both the online and phone services are available 24 hours a day, seven days a week. Taxpayers who file electronically can start checking the status of their return after 72 hours. You can check the status of paper returns about four weeks after filing. In terms of refunds, you can expect to wait up to four weeks to get e refund if you e-filed. If you filed a paper return, you can expect to wait up to eight weeks. Allow an additional three weeks if you sent a paper return sent via certified mail. Check on your state tax return by vising the West Virginia State Tax Department‘s website. On the right side of the page, you will see a link called “Where’s My Refund?” This link will take you to the refund status page. Enter your SSN, the tax year and the amount of your refund in order to check your status. The state is implementing new security measures for the 2017 tax year, which may slow down the turnaround time for your refund. It advises only calling to ask about your refund if more than eight weeks have passed since you filed. Wisconsin’s Department of Revenue has an online tool, called Refund 123, that allows you to see the status of your tax refund. To use the tool, enter your SSN, the tax year and the amount of your return in whole dollars. Refunds for taxpayers who filed electronically are typically issued within three weeks. Paper returns will take longer to process. The state’s fraud and error safeguards may also delay the processing of your return up to 12 weeks. If your state collects income tax, it is possible for you to check the status of your return online. Some states also allow you to get information by calling an automated phone service. Normally you need your Social Security number (or other official ID number) and the amount of your return in order to check your return’s status. If you expect a refund, you could be waiting as long as a few months in some states. Taxpayers who file electronically and choose direct deposit can expect the quickest turnaround times. Filing a paper return or choosing a paper check will slow delay your return. States are also trying to be especially cautious with 2017 returns to prevent identity fraud. This could mean that processing times are longer than in previous years. Each state will process tax returns at a different pace. The IRS generally processes federal returns at the same pace, no matter where you live. Here’s a refund schedule to give you an idea when to expect your federal refund. If you haven’t filed your taxes yet, make sure to consider all your filing options. One popular tax-filing service that might be a good fit for you is TurboTax. It is an easy-to-use option with step-by-step directions and simple explanations. Many states are implementing new security measures that will protect taxpayers from identity theft. (These measures will likely increase the processing time for refunds.) There are a few things you can do to prevent an identity thief from taking your refund. For one, file as soon as possible. This makes it harder for someone else to send in a return using your information. If you file online, always check that you are on a secure website. Check the security certificate in your browser’s search bar. (There is usually a little lock you can click on to see the certificate.) Don’t input your personal information into any website if it is not secured. Additionally some individuals may be eligible for an Identity Protection Pin. This six-digit number from the IRS is designed to prevent someone from misusing your Social Security number. If you want extra guidance on your taxes from a professional, head over to SmartAsset’s financial advisor matching tool to get paired up with an expert who can cater to your particular needs.